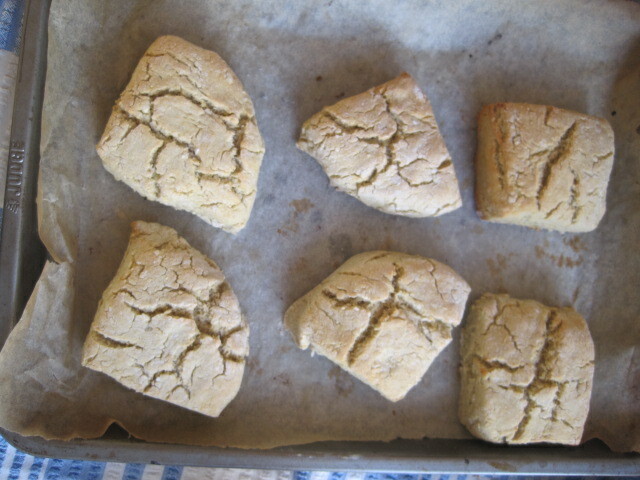 Gluten free scones have been something we’ve tried to make for years with varying results. 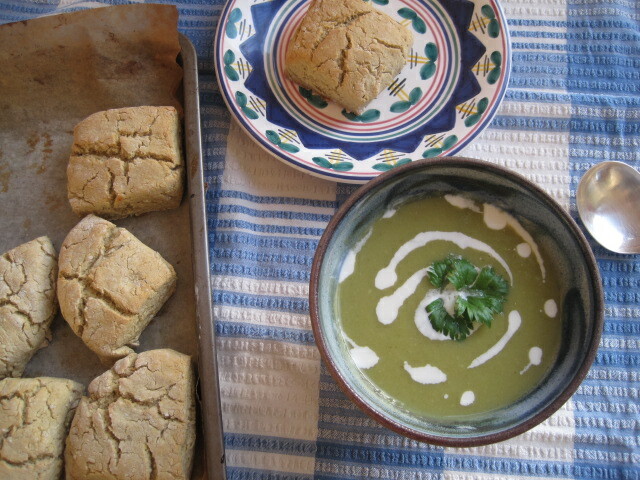 These are pretty great – quick (ready in 20 minutes) and rustic, lovely served warm with a hearty bowl of soup. We also recommend adding rosemary and walnuts for an alternative savoury version or raisins and other dried fruit for a fruity afternoon tea alternative. 1. Preheat the oven to 200°c. Line a baking tray with baking parchment. 2. In a bowl mix together the flours, salt, baking powder. Add in the wet ingredients and beat the whole lot together lightly until it forms a ball of dough – don’t be tempted to over mix. 3. Pat out the dough on a lightly floured surface to 3 cm tall and chop into 6 scones. Bake on the tray in the preheated oven for 10-15 minutes until lightly coloured and risen a little. Serve with a bowl of soup.